A long, long, time ago I lived in Beijing. In fact Muskblog was started prior to my exchange semester at Tsinghua University so that my classmates and friends could follow my exploits, alas things did not go well. Much time has passed and my life and career have never recovered, but it wasn’t hard to convince me to try living overseas again. Bob Dylan aside I’ve had way too much time on my hands while waiting for visa related paperwork. I’ve been studying for the next CFA® exam, but I really should be studying Chinese more. I did some research into gyms in Shanghai, I don’t know Shanghai as well as Beijing and I’m not even sure where I am living and working. When I lived in Beijing I blogged and I remember there were rules about what you can blog about. That was a long time ago and though the Great Firewall of China is still in operation and the latest victim seems to be Gmail. Tourism and certain other key industries need access to the Internet and the Chinese government can not always keep ahead of people’s ingenuity. Most of the RSS feeds I used to subscribe to either died out or I decided it was no longer necessary to follow them, even the Hao Hao Report seems to have gone silent of late. 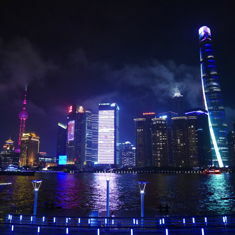 Folks seem to be recommending SmartShanghai and ShanghaiExpat but I prefer more independent voices, those are basically online entertainment magazines similar to Vancouver’s The Georgia Straight. I noticed they both have dating sections, let the record clearly show I researched gyms first, apparently Eternity or California Fitness would be best for me assuming I live near one of them. Blogging is much more of a business than it was ten years ago, but most people don’t keep up with it, I think mine is the only blog still active from my collection of Tsinghua blogs. I was hoping to write a similar list for Shanghai but now I think I’ll just look for existing lists of the best blogs in Shanghai and China. Eventually I expanded the list to include blogs about learning Chinese. 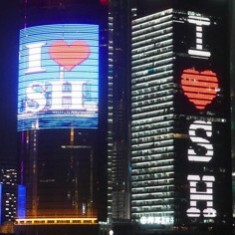 Shanghai Expats thread on Shanghai blogs, alas most are abandoned, Mad About Shanghai is still active. I’ve been in Shanghai a couple weeks now, it is an expensive city. I will need to find a better job at some point. I enjoy going to the gym and trying new cafes and new beers. I have taken some photos which I have uploaded to this blog or Flickr, I will not be blogging much as my focus needs to be on the CFA exam. I eventually passed all three but could not get a new and much better job and once again am packing up to go back to Canada. I like my gym, some of the trainers at the boutique gyms seem to train at my gym, but I also may have to change gyms because I may change apartments or even jobs, I never seem to be able to get a good job despite all the promises made by various university and professional certification programs. I’m still in Shanghai and still working at the exact same job. It has become a sore spot, but I am risk adverse to losing my visa and this kept me at the same job and same employer too long. Blogs continue to die, sometimes an old blog will come back especially if it is on a free host, but even though this post is only a couple years old some of the blogs I linked to and started following are long gone, but I’ve turned up a few more, but I just don’t have time for the blogosphere. I fight with the Great Firewall and still use Twitter and a new news reader on my iPhone. One of the more famous blogs in Shanghai, the Shanghaiist, shut down this week due to a decision made by the corporate parent and American billionaire. Although I should be studying for the Level 3 CFA exam, I’ve spent way too much time updating this website, because some people decided to make my life more difficult than it ever had to be, again. The Chinese Government made a decision recently that proved very unpopular and have cranked up the online censorship to 11. Using a VPN to get to career websites is getting more and more difficult, but this blog functions without a VPN, especially after I gave it another major overhaul. One thing you have to do without a VPN is use Bing and while using Bing I’ve twice discovered the blog Sugared and Spiced which like this one has migrated around the world once or twice. I found it originally while researching brunch spots and then found it again today while trying to find the address of a new trendy cafe. Hopefully one day soon I can blog about brunch spots and trendy cafes, but pretty soon I may quite social media cold turkey either because the Great Firewall proves insurmountable or I get deadly serious about certification exams. The Shanghaiist eventually returned, I follow the editor on Twitter. I really should network more, especially considering all the struggles I’ve had maintaining this blog, it does not generate any ROI and does not seem to perform as well in search engines due to neglect and a lack of posts on things like brunch spots and trendy cafes. Lately spammers have become interested in obscure posts that are 10 or 12 years old, I suspect old URLs in indexes have received a boost in Google’s algorithm due to the prevalence of spammy disposable domains used by some search engine optimization ‘experts’. If you have suggestions for blogs that I or others should follow or how to find a much better job you should leave a comment below. This entry was originaly posted on December 31st, 2014 , it was last edited on January 28th, 2019 and is filed under: Asia and tagged: Blogging, China, Expat, Shanghai.